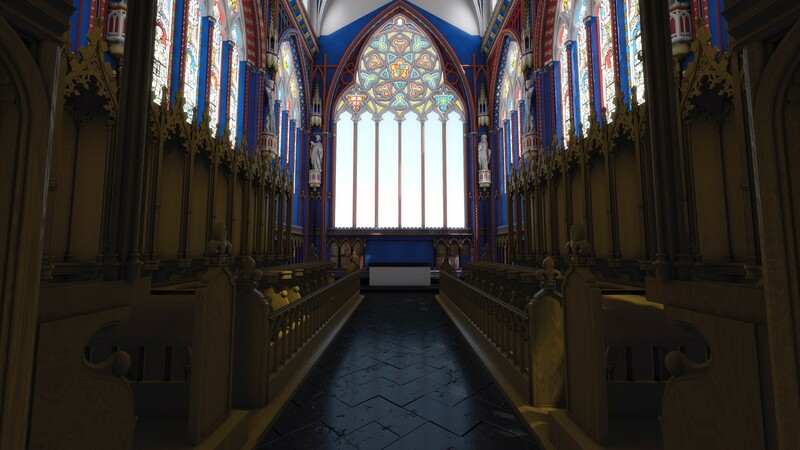 visual representations, such as antiquarian drawings and plans. 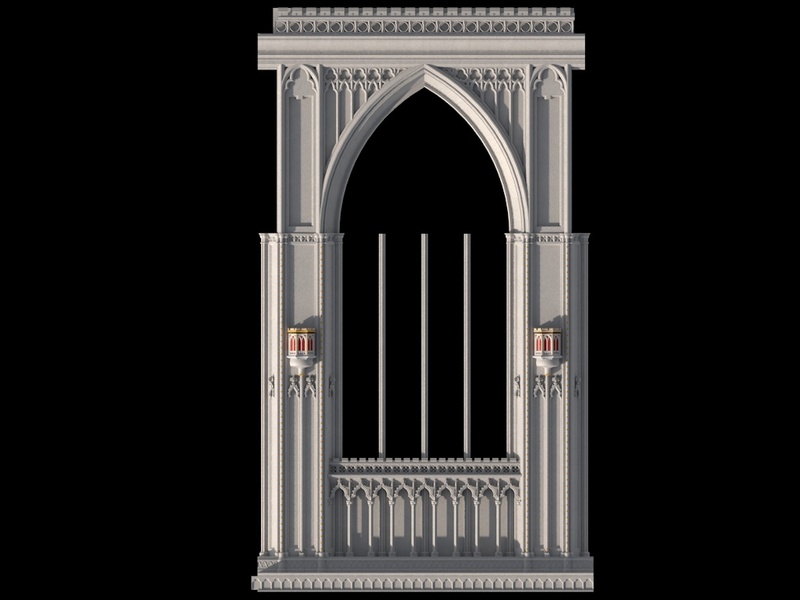 physical fragments, including the pieces of the internal frieze held by the British Museum. 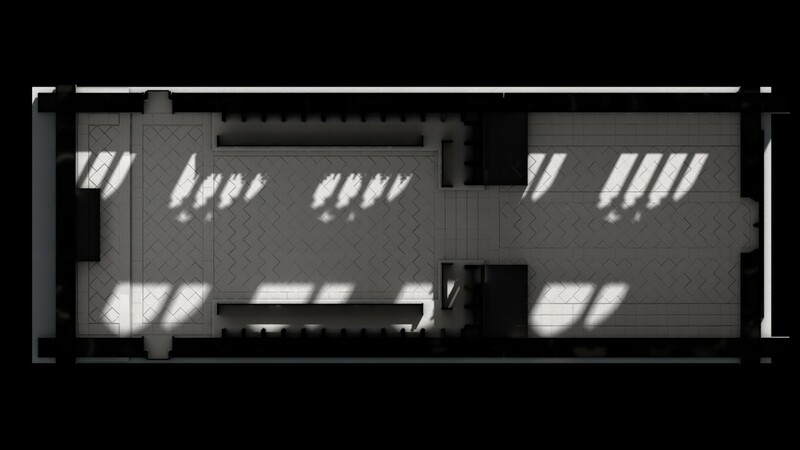 contemporary documents, e.g. building accounts of materials used in the chapel's construction. 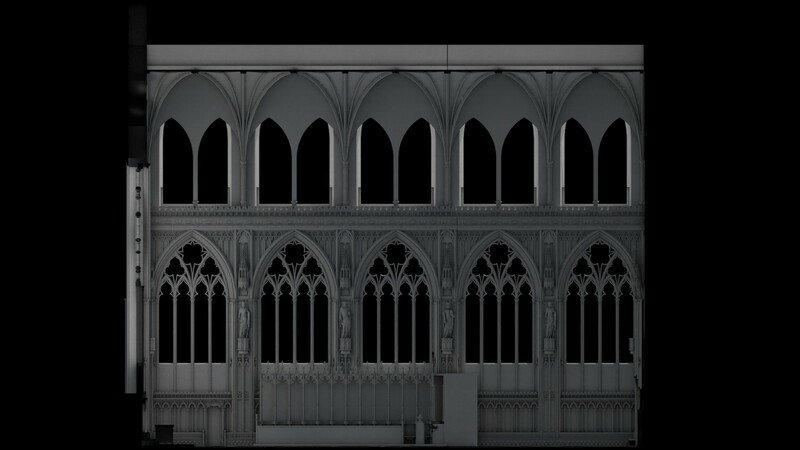 The model also helps us to test our theories and see how certain elements might have looked. 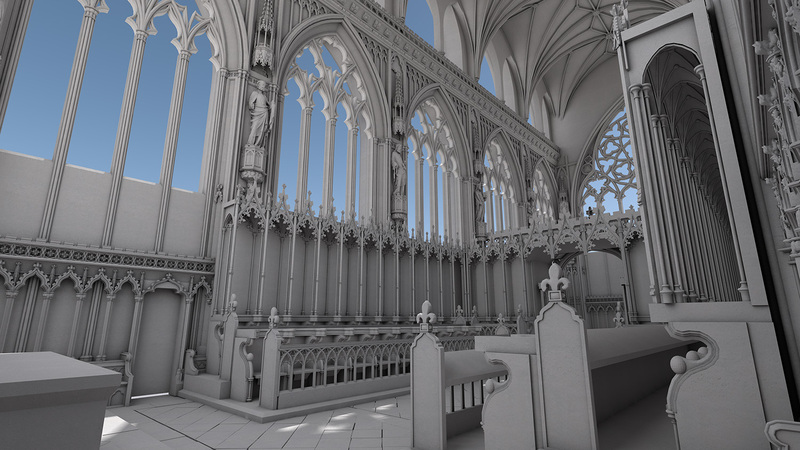 The movie below explains how research and evidence aided our development of the medieval chapel visualization. 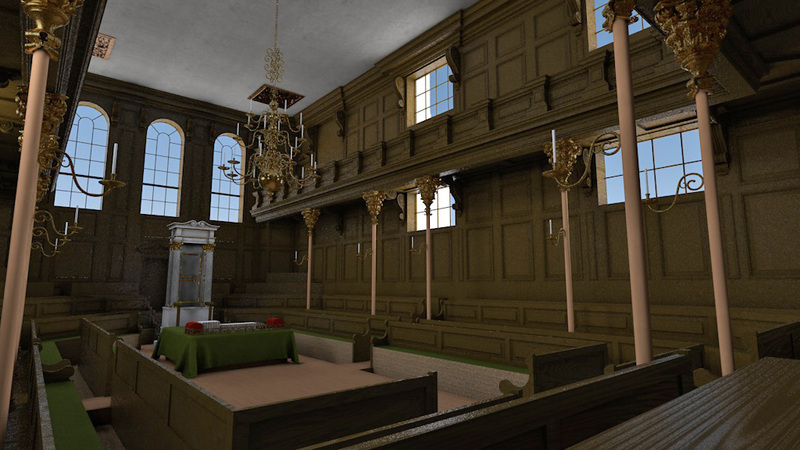 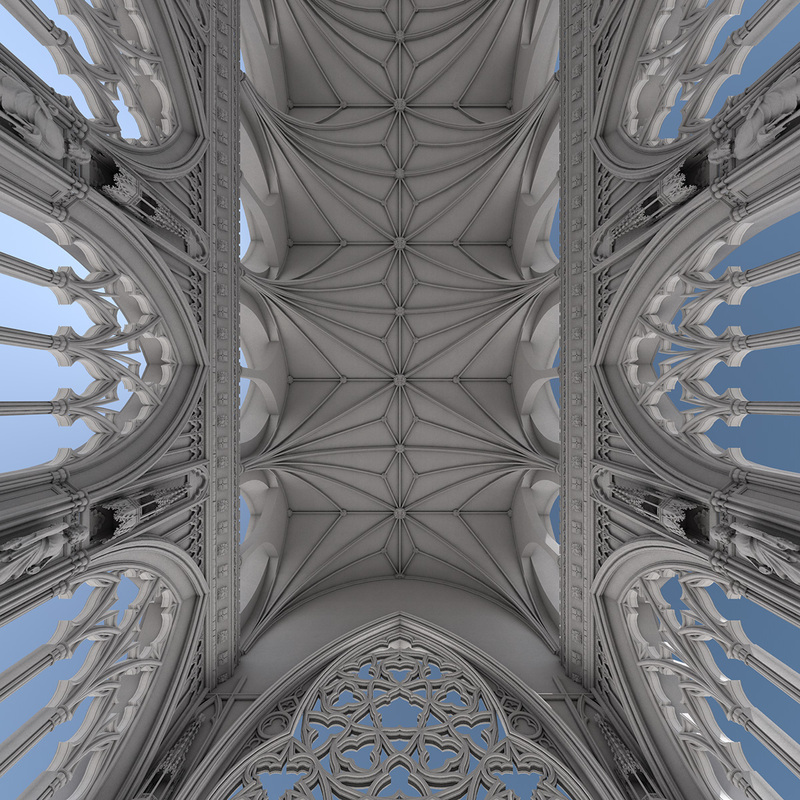 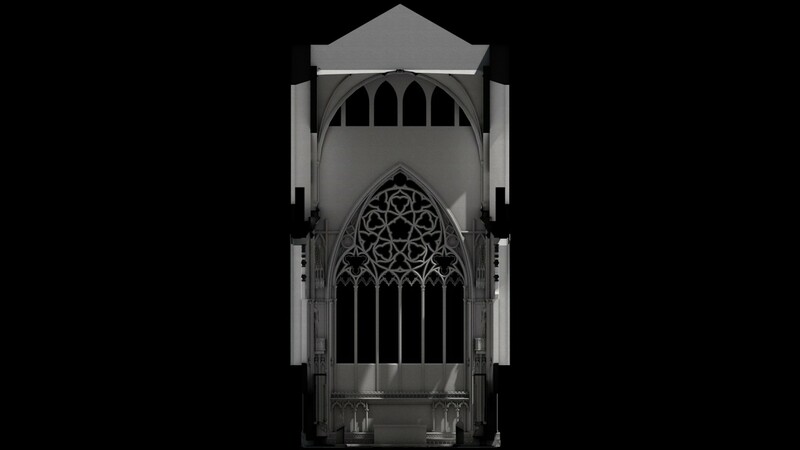 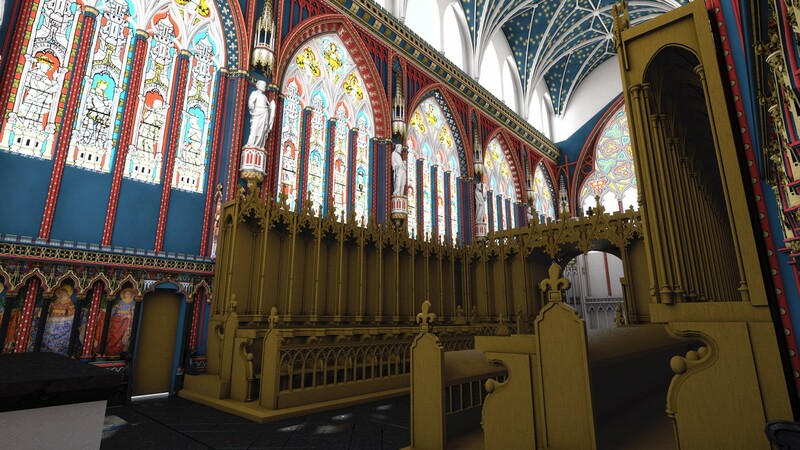 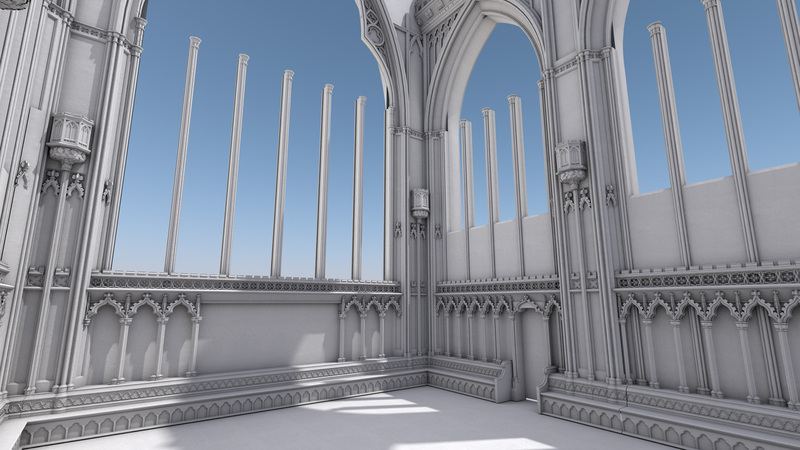 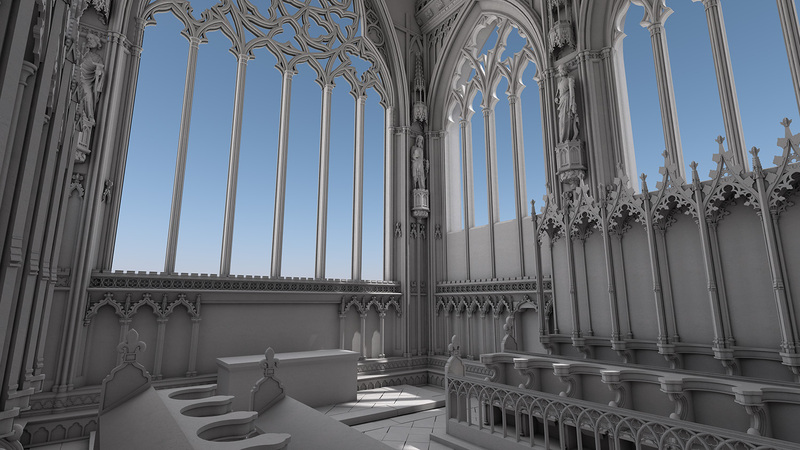 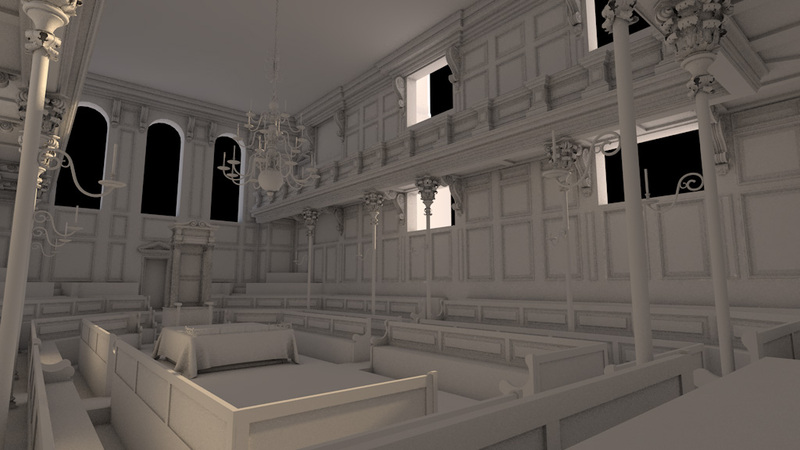 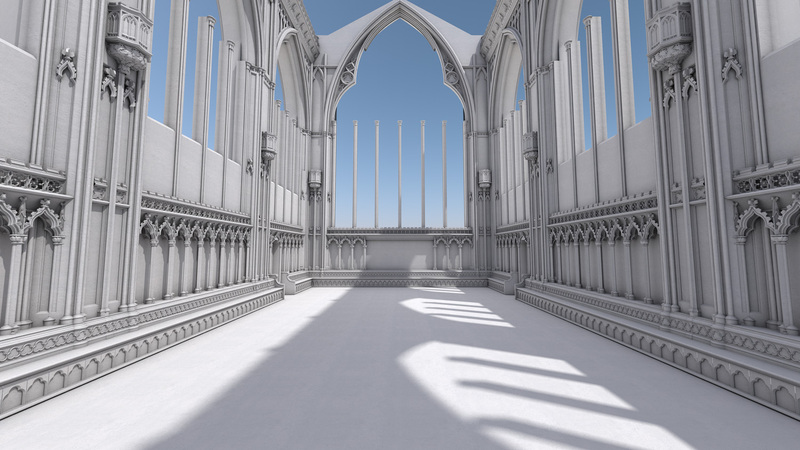 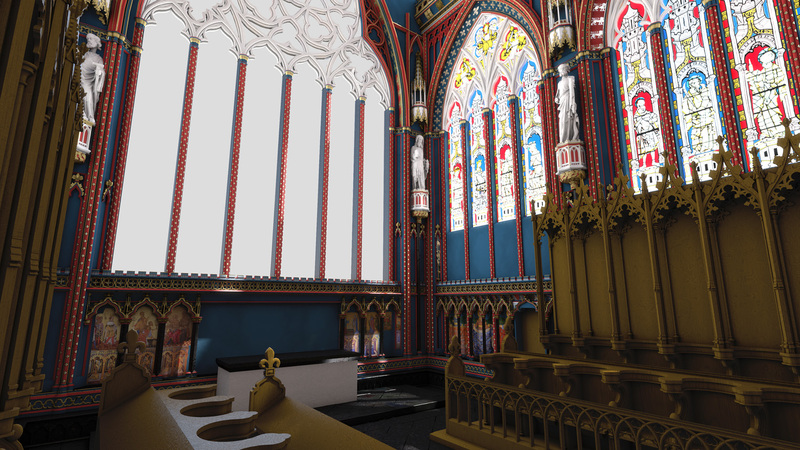 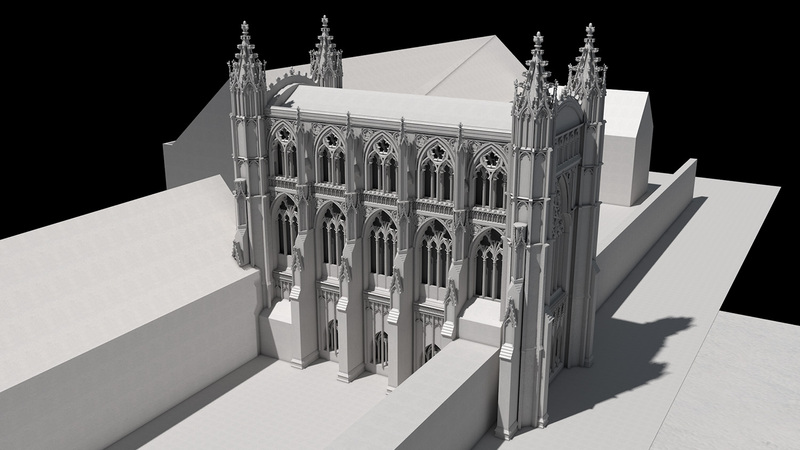 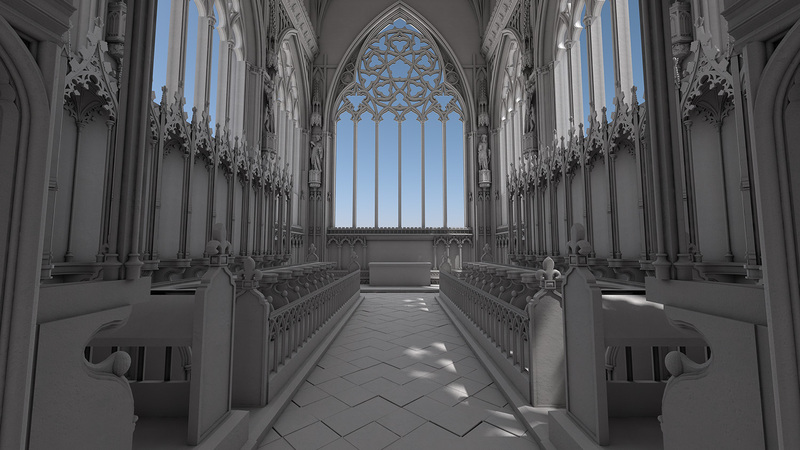 See below for a selection of still images from the various phases of development work on our 3D visualization of St Stephen's Chapel. 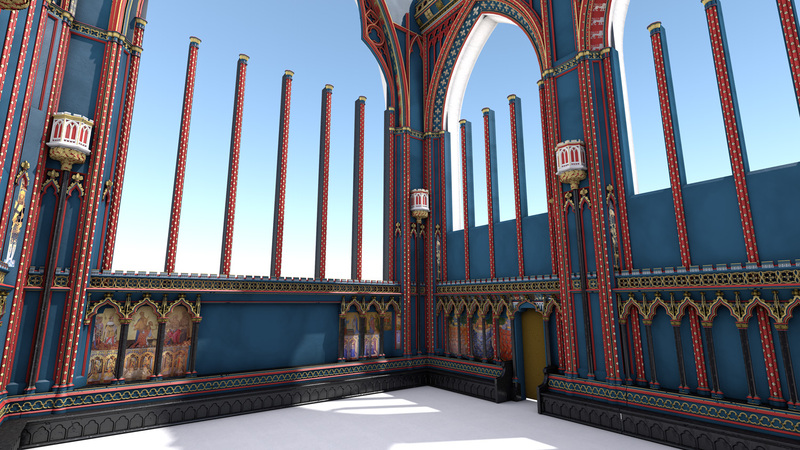 These images are intended to show the progression of research through the project. 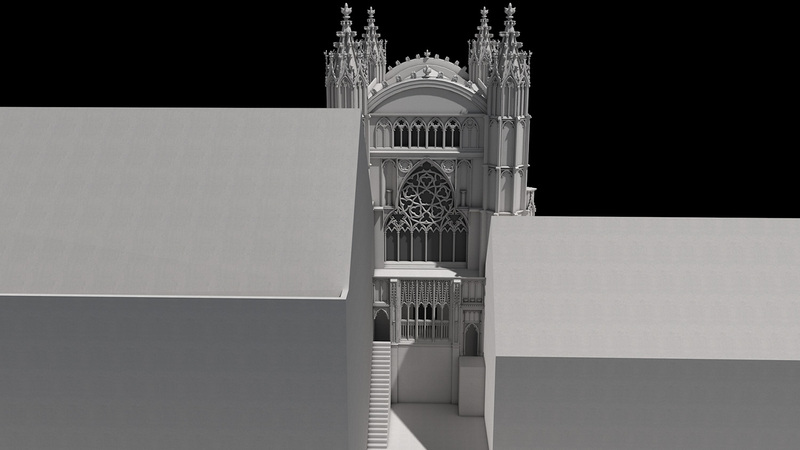 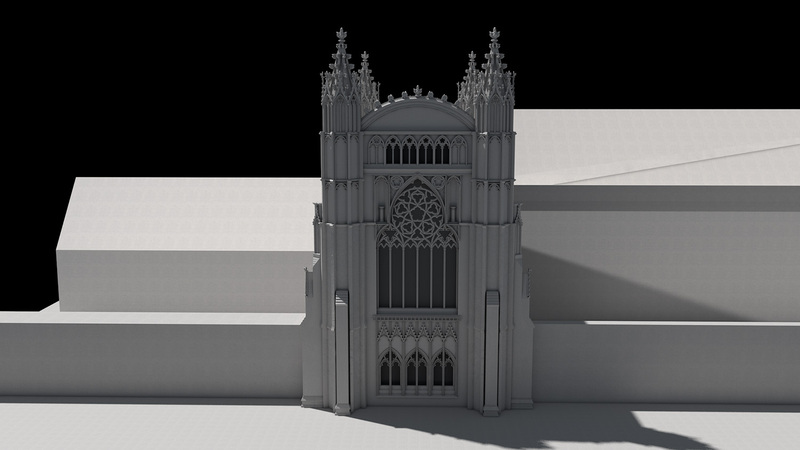 The final versions of our reconstructions can be seen in the main Visualizing St Stephen's section.